There is a mathematical law that determines the rate at which the Internet spawns new social networking tools. 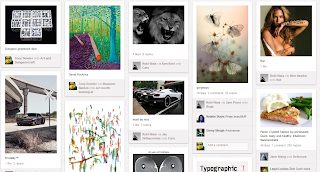 There is a new social bookmarking site called Pinterest. You should not care about this, except for the dungeons. Basically Pinterest is a temple to the deities who governs art and design and that thrift store bike you repurposed as a wash basin stand for your off bath. Clearly it needs more dungeons. The Art of Dungeoncraft board on Pinterest represents the love of dungeons and art in the world of pinterest. Would love for you to check it out. Also, if you happen to be obsessed by dungeons (and/or art, possibly), you could become a contributor too. Thanks for spotting that! Apparently modifying the name of the board changes the link. http://pinterest.com/tonydowler/art-of-dungeoncraft/ is 404ing now too? OK, it's fixed now, REALLY.